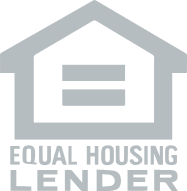 Federal Housing Administration (FHA) loans are government loans that are great in many situations to assist borrowers with qualifying for a mortgage. In many cases it is the only option for a lot of borrowers, and therefore is an excellent path to homeownership. The Department of Housing and Urban Development (HUD) oversees and creates the guidelines for FHA loans. While we are the actual lender on an FHA loan, in exchange for our following the rules of FHA, HUD will insure the loan for us. Meaning, if our borrower were to default on an FHA loan, HUD will assist with covering our loss. Because of this insurability, FHA loans will come with better loan terms and easier qualifying guidelines. 1. FHA is great for borrowers with little amounts of cash. It is a 3.5% down payment minimum, and you can borrow all the way up to $679,650. 2. FHA is great for borrowers with lower credit scores. You can borrow the most amount of money, with the lowest credit scores, with this loan. And you can always put down as little as 3.5% down. 3. FHA is great for borrowers with past credit difficulties too, including bankruptcies and foreclosures, because these loans have the shortest waiting periods. Your credit score has a minimal impact on the interest rate on an FHA loan. It has no impact on the mortgage insurance costs. This is the opposite of how a conventional loan works. On a conventional loan, your credit score has a large impact on your interest rate and mortgage insurance costs. And so for applicants with lower credit scores and lower down payments, FHA financing may be the best option. For applicants with higher down payments and higher credit scores, conventional financing may provide better terms. Why would you not want an FHA loan? FHA loans typically have lower interest rates than conventional loans. However there are fewer loan options to choose from, you’ll typically find only a 5 year adjustable rate, a 15 year fixed rate, and a 30 year fixed rate. What unfortunately comes with a lower interest rate, is a higher mortgage insurance premium. So for most borrowers, the cumulative cost of the rate plus mortgage insurance will put FHA financing as more expensive than conventional financing. Where you may find better terms with FHA is with lower credit scores & down payments. FHA also has an upfront mortgage insurance premium of 1.75% which is financed into the loan amount. However if you were to streamline refinance your FHA loan into another FHA loan, within 3 years, you could get a partial refund of this premium back.